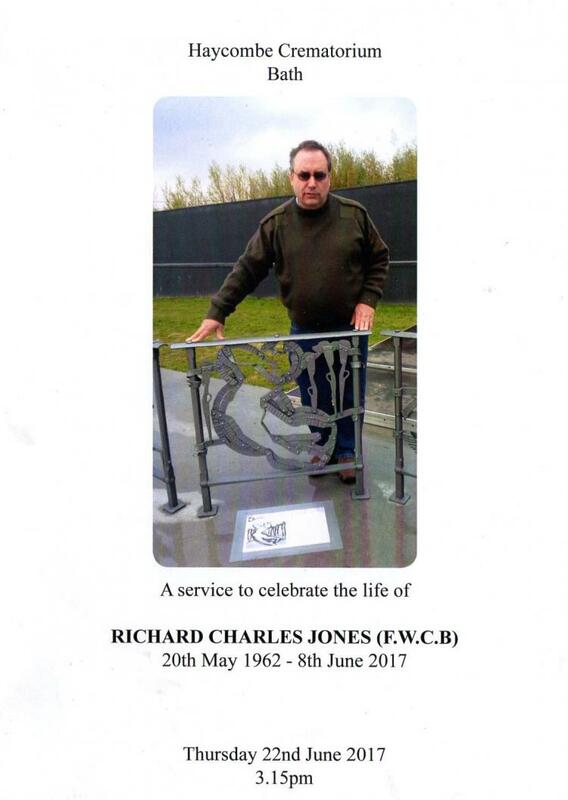 Blacksmiths from across the country gathered with members of the Court of the Worshipful Company at Haycombe Cemetary, Bath to say farewell to Richard Jones FWCB whose funeral took place on 22nd June. Richard passed away on the 8th June after a short illness, bravely borne. Richard was an outstanding blacksmith who was awarded a Bronze Medal by the Company in 2012; he entered the Livery in 2011. More recently, he was one of the leading figures in the creation of an international blacksmithing project to create a monument to the 1916 Battle of Ypres. He was popular on the County Show competition where he was the almost perennial winner of the national live-forging championship. Our thoughts are with Lorraine and other members of his family.